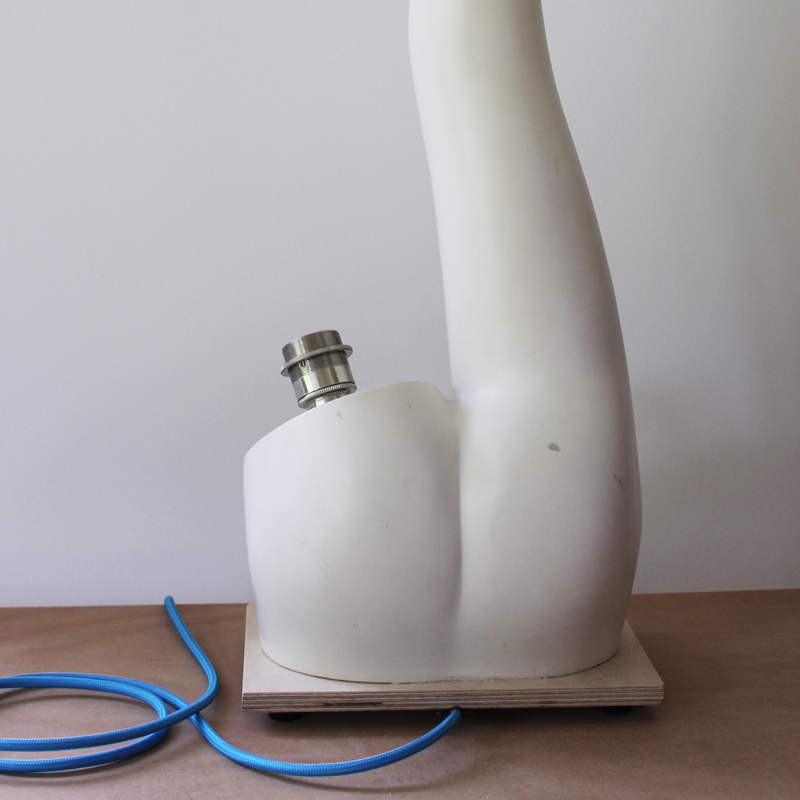 A unique mannequin lamp created from a female mannequin leg. The mannequin has been thoroughly cleaned but has not been repainted. This is to preserve the patina and markings you would expect due to age and use. *Nickel E27 (ES Edison Screw) bulb holder – made in UK. Bulb holder is supplied with a shade ring so the light can be used with a bare bulb or with a lamp shade. Light consists of the leg mounted on a plywood base with rubber feet and is wired with 2.5m bright blue cable and a 3a plug. The bulb holder is located at the top of the cut off leg and is mounted at an angle due to the angle of the leg. Height from base of mannequin to tip of tallest leg: 770mm.